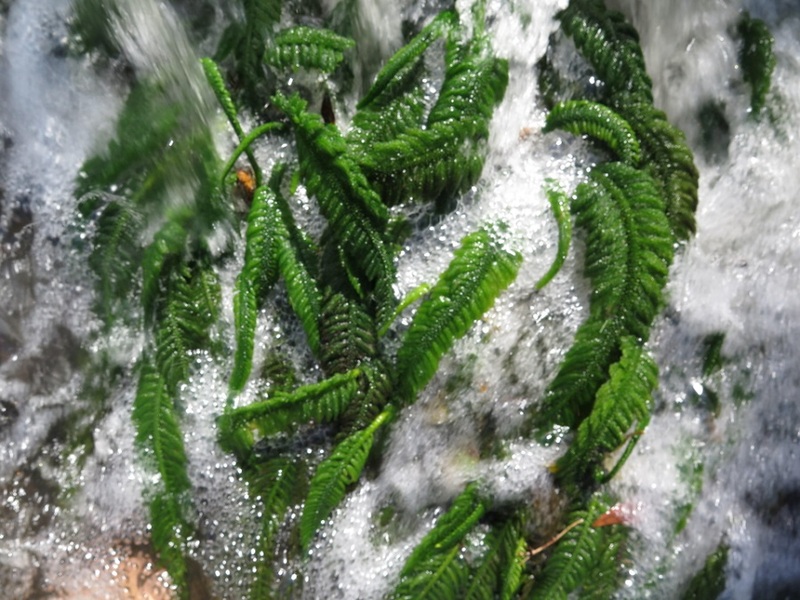 Meet this unusual plant, Hydrostachys polymorpha, a perennial aquatic fern-like herb which is unable to survive without the turbulence of the water. Living life on the edge takes on a whole new dimension with this plant that has found a perfect formula for adhesion, nature’s very own super glue, allowing it to cling onto the rocks and thrive in the white waters which give rafters a thrill. 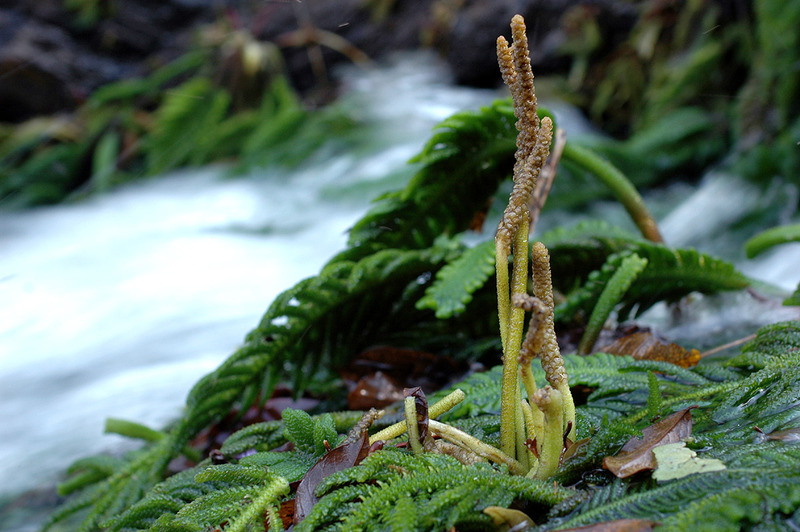 This plant is found on the rocks in the fast flowing fresh water within the Umgeni Valley Nature Reserve, Umvoti and Krantzkloof Nature Reserve and the presence of the species is greatly affected by habitat degradation, river pollution, harvesting for medicinal use and most importantly reduced water flow. Hydrostachys polymorpha grows up to 400 mm high. The leaves of the plant are basal and remain submerged in water. Leaves are 100 – 400 mm, contain small leaflets that are curled up, which gives the leaf a coarse wart-like appearance. The petiole and axis of the compound leaf are flat and coated with several wart-like outgrowths that are sometimes winged. Pinnae (leaflets of a pinnate leaf) are sub-opposite, numerous, spreading and 30 mm long. Hydrostachys polymorpha flowers from May to August. The plant contains a spike inflorescence with alternate and sessile flowers along a common unbranched axis. The spike is erect above the water and dioecious (male and female flowers are borne on separate plants). The male and female are similar, strong, and occasionally smooth, grow to 300 mm long and occur from the base of the plant. The stalk is leafless, strong, and occasionally smooth. The male flowers have overlapping bracts that are broadly egg-shaped with very small bumps near the pointed apex and recurved margins. The female flowers have bracts that are shaped like bivalve molluscs, 3 mm long and a lip-like tip with a central nerve extending downwards. The fruit of Hydrostachys polymorpha are flattened, smooth, egg-shaped and hidden inside the bract. The seeds are small and orange. This entry was posted in KZN Midlands Wildflower, Threatened Species, Water and tagged CREW, Hydrostachys polymorpha, rivers, threatened plant on June 11, 2015 by Midlands Conservancies Forum.